President Mahinda Rajapaksa accompanied by First Lady Shiranthi Wickremasinghe Rajapaksa, this morning, left for the Middle East for state visits to Jordan, Palestine and Israel. The first stop for the President will be the Hashemite Kingdom of Jordan where he will meet with the King of Jordan His Majesty King Abdulla II Ibn Al Hussein. 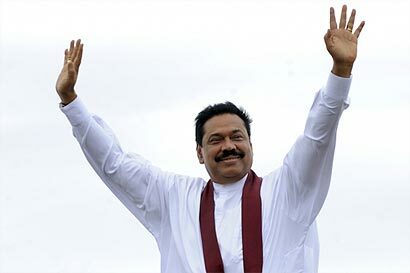 President Rajapaksa will then travel to Palestine for a two-day state visit. There, the President will hold bilateral discussions with Palestinian President Mahmoud Abbas. While in Palestine, President Rajapaksa is also expected to lay a wreath at the mausoleum of former President Yasser Arafat, meet with members of the Sri Lanka Palestine Friendship Association and visit the Church of the Nativity in Bethlehem. In his two-day state visit to Israel, President Rajapaksa is expected to hold talks with Israeli Prime Minister Benjamin Netanyahu and Israeli President Shimon Peres.